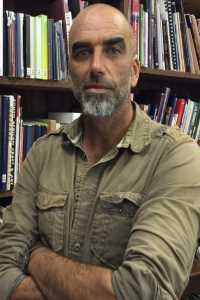 Dr Nick Shepherd is an Associate Professor of Archaeology and Heritage Studies at Aarhus University, and an Extraordinary Professor at the University of Pretoria. Nick was founding editor of the journal Archaeologies: Journal of the World Archaeological Congress. In 2004-5 he was based at Harvard University as a Mandela Fellow. In 2008, he was a Visiting Professor at Brown University, and in 2009 at the University of Basel. In 2014-15 he was based at Colgate University as a Distinguished Visiting Professor. He has published widely on questions of archaeology and society in Africa, and on questions of public history and heritage. His books include the volume Desire Lines; Space, memory and identity in the postapartheid city (Routledge, 2007), New South African Keywords (Jacana Media and Ohio University Press, 2008), After Ethics: Ancestral voices and postdisciplinary worlds in archaeology (Springer Press, 2014), The Mirror in the Ground: Archaeology, photography and the making of a disciplinary archive (Jonathan Ball Publishers and Centre for Curating the Archive, University of Cape Town, 2015), Arqueología y decolonialidad (Ediciones del Signo and the Centre for Global Studies and the Humanities, Duke University, 2016), and La Mano del Arqueologo: Ensayos 2001-2015 (Universidad del Cauca, JAS Arqueología and Noches Blancas 2017). Nobel Prize-winning writer and critic JM Coetzee commented: “Nick Shepherd’s delvings into the underground of the discipline are part of an honourable effort to save archaeology from its past, an effort that starts with recognizing dig sites for what they have always been: the sacred ground of the dispossessed” (2014).